Making your own foaming hand soap is easy! I’m DIY kinda gal. I get a kick out of making it myself. Doesn’t matter what “it” is; if I can figure out how to make it work, I’m happy. I bought a bottle of foaming hand soap at the store, and when the bottle was empty, I wondered what I should fill it with. Straight liquid soap clogged the pump. So I began fiddling with different solutions to figure out the proper dilution that would allow the pump to properly aerate. What I discovered was that a 20% solution worked best. Measure out the soap and the water into a bowl or drinking glass. Work gently to dilute the liquid soap or you’ll end up with a bunch of bubbles. You want to avoid bubbles. You just want to thin out the soap, so stir gently. Refill your dispenser with the diluted solution, and enjoy the foam! If your pump becomes clogged, simply remove it from the bottle and rinse it under running water, pumping to remove the thick soap inside. Any type of liquid soap will work: body soap for showers, dish soap for dishes, shampoo, hand soap, etc. 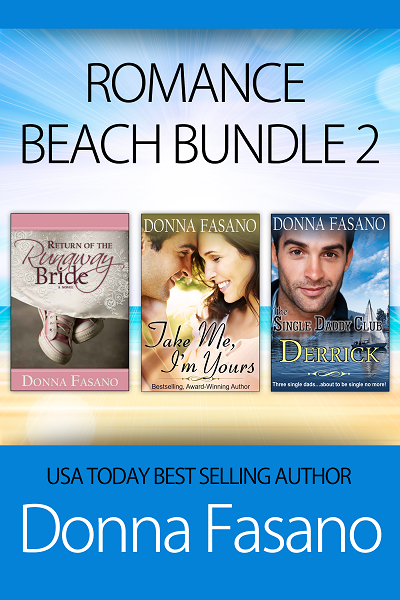 About the author: Donna Fasano is a USA Today Bestselling Author who has written over 30 romance and women’s fiction titles. Her books have won awards, have been translated into nearly two dozen languages, and have sold four million copies worldwide. To learn more about Donna, visit her blog, or find her on Facebook, Twitter, and Pinterest. Are you an avid romance reader? Join Donna’s Street Team: The Prima Donnas. My son loves the foamy hand washes, but I prefer the thick liquid ones. If I tell me you can make it at home, I will be wiping a mess this afternoon! Thank you Donna. We love using the foaming hand soaps. Donna, I did the same thing you did. I didn't know if it would work, but as you found out it did. What a great idea - I always hate throwing those dispensers out and now I don't have to!